Matte black case made from a Breitling proprietary lightweight, yet highly durable material named Breitlight: The Breitlight material utilizes a lightweight high-tech polymer that’s been charged with composite fibers for strength and rigidity, it is over three times lighter than titanium and nearly six times lighter than steel. Luminous painted "stenciled" Arabic numeral hour markers. Printed minute/seconds & fractions of a second track. 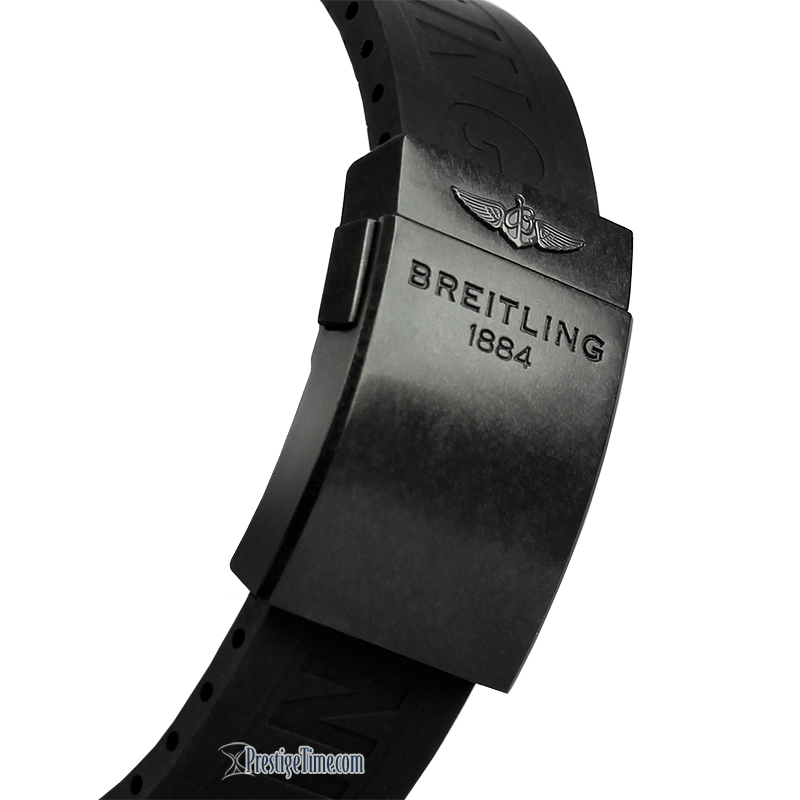 Matte grey steel hands, hour & minutes with luminous fill. Date window displayed between the 4 & 5 o'clock positions. Small seconds sub-dial at the 9 o'clock position. Large central, yellow tipped seconds counter. 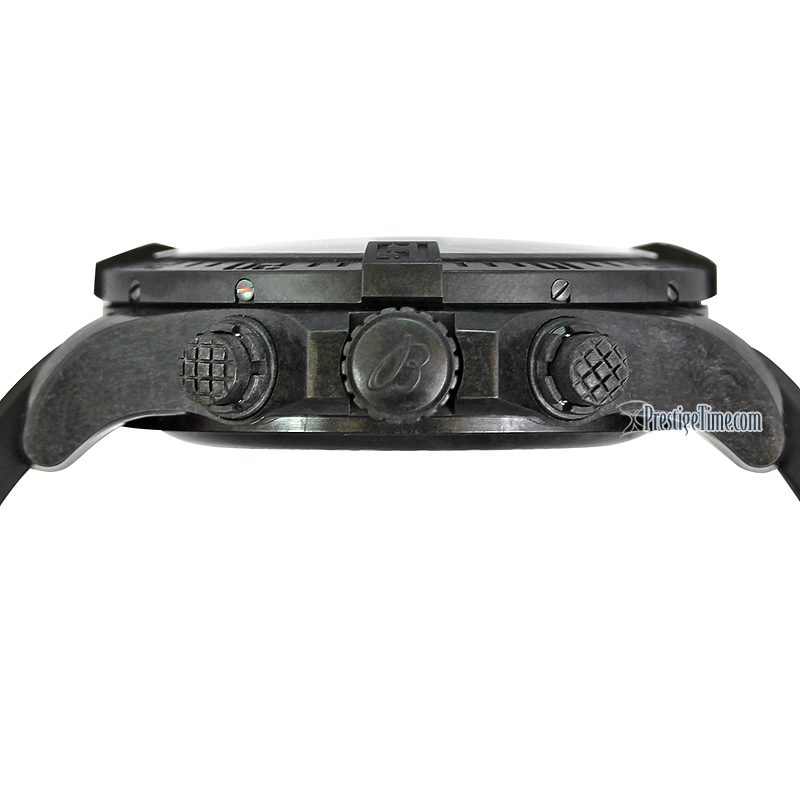 30 minute counter sub-dial located at the 3 o'clock position. 12 hour counter sub-dial at the 6 o'clock position. 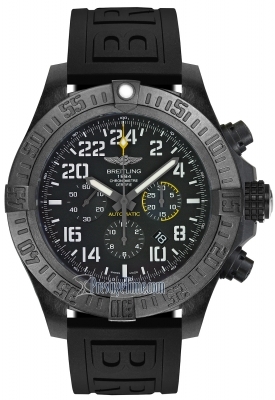 Breitling in-house Caliber B01 movement, beats at 28,800 vph, contains 47 Jewels & has an approximate power reserve of 70 hours.